▪ All record data is updated to reflect the changes. 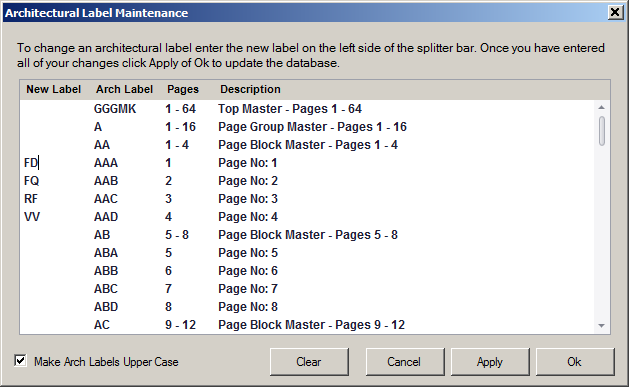 ▪ The design wizard generates a default set of architectural labels for each master key system you create. ▪ The lettering method (standard or legacy) and grouping are based on the preference settings, pin chambers and master levels.